A recent update to Google Tag Manager introduced a feature which has been on the wishlist of many users for a long time. 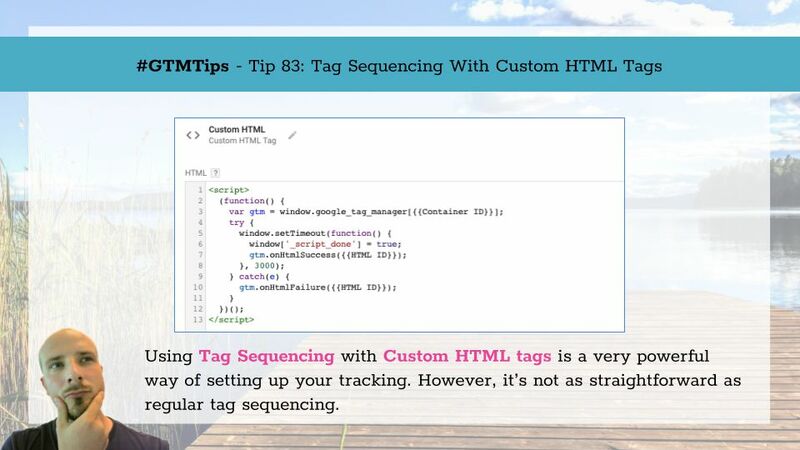 It’s called Tag sequencing, and its purpose is to facilitate the sequential firing of Tags. The idea is that you can specify a setup and a cleanup for each Tag in your container. This article is intended to function as a quick tour of the feature.